From the moment you land on the home page of www.dreamscasino.co.uk, it is evident that you have found a gaming experience like no other. The vibrant colors and graphics are engaging as the website slider swiftly previews what awaits you. The website caters to players from around the globe. You are sure to find your country on the sign-up page, once you reach the country dropdown arrow. There are so many countries that it is alphabetized from a to z. 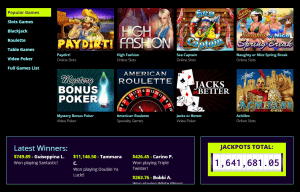 It provides either a desktop or mobile phone platform with a bevy of games which include both three reel and video slots, table games, 21 games, video poker and specialty games. Additionally, they are the only online casino to offer exclusive play such as Live Dealers and slot tournaments. And if that was not enough, they are continually adding new games, which translate into new action with every visit. The animation of the download arrow button or instant play which requires no download on the home page are a representation of the consideration given to the detail of the site. Once you click the download button, a thank you screen appears and displays the three easy steps it takes to get started. This includes downloading the Dreams Casino software, completing the sign-up form with current and valid information. This will ensure you receive the welcome bonus, insurance chip, comps and other benefits for patronizing Dream Casino. The last step is to double click the Dreams Casino icon to redeem your welcome bonus coupon, make your deposit, begin play and start winning. The download process is quick and simple. However, if you have any questions or concerns there is a woman cartoon character directing you to click here to connect you with an agent. If you just want to join the action with Instant Play, simply click that icon from the home page and no download is necessary. 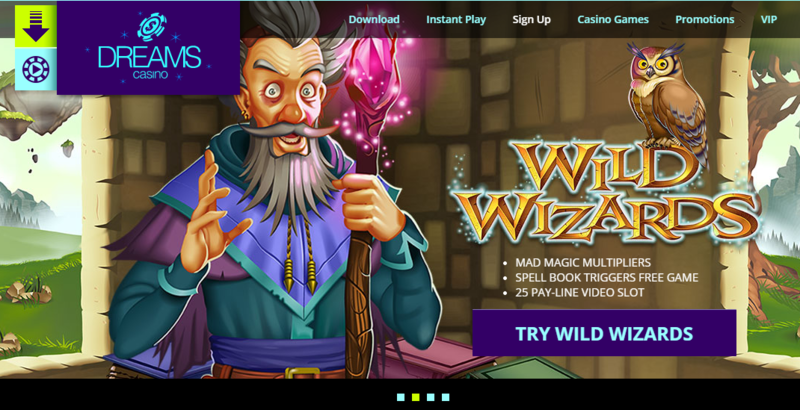 You have instant access to all the games on the Dreams Casino website. There is also the convenience to access either of the instant play or download button from any web page. After registration and the software download process is complete, it is up to you to decide where you want to begin play. The casino games are cleanly displayed after you decide which type you are interested. Every game has the option to play for real or practice. For the beginner or experienced player who wants to check out a game this is a great benefit. It is easy to spend hours moving through each available gaming opportunity before settling on one. We started with the casino button first. Once we reached the casino game page, we were greeted with the icons for the featured new games category, which included Wild Wizards, Double Ya Luck, The Naughty List, and Voodoo Magic. Under each icon was the option to download the casino software, instant play and two other icons that were not readily highlighted. Immediately below this was the first installment of games under the category of slots machines – video slots. There are so many, however, the user friendly brand of Dreams Casino alphabetized it for us. We made a list of the ones we wanted to review and we suggest that you follow suit. You may even want to keep a journal, this way you can put a star next to the ones that are the favorites. This site is so jam packed with play opportunities to win and with the leveled VIP program; it will surely become a favorite. So we choice the Voodoo Magic game from the featured new games because it reminded us of an infamous song and no names are needed. We followed this with, Builder Beaver because there is a featured bonus of twenty five free spins with a value of $25.00, Crazy Vegas, because on the home page under the latest winner list, a player won $5,700.00, T-Rex because it was one listed on the home page when we clicked the slots games link and we rounded our list out with Pay Dirt to see if we could, well hit some pay dirt. When we clicked the practice play button, the game quickly uploaded to our screen. There was a pop-up with a lumberjack cartoon character that ask us if we wanted to play with real money and get twenty five free spins. There was a blue link that had switch to real money or back to game. We chose back to game for our review. After a quick look at the help and rules icon which is the pay table, and getting familiar with the rules of Voodoo Magic, we were off and playing. It is a three reel slot with thirteen lines. The graphics was a cool 3D with neon animation and the music was theme appropriate. It was a blast from the first spin because we won. The spin button offers a toggle of stop while the reels are spinning. We tried it to see if it would increase our winning but not quite on this first time out. Our verdict for Voodoo Magic is – it is a keeper. Builder Beaver was next on our list and after clicking practice; we got the same pop-up and instantly clicked the back to game link. This game also loaded quickly and there was a minor jackpot and major jackpot listed that was not seen on the Voodoo Magic screen. The amounts changed periodically during our play. The builder beaver is a twenty five line three reel slot. The colors are vivid and the icons have a cartoon quality to them. There were small bits of animation with the beaver and beaver logging company icon when you won with it. These are coincidentally the scatter icons. There is a player options tab at the bottom of the screen which allows you to control the sound or reel action with features such as stop when jackpot is won, stop on any win, stop if balance decreases or increases, just to name a few. We were able to win quite a few spins, so we are sure the twenty five free spins will be winners. Our next stop was Crazy Vegas, which can be found on lots of site but we wanted to see how it played on Dreams Casino. This game also has a jackpot displayed, except it does not have a minor or major listed. We won on the first spin with this game and now we see why there was a winner listed on the home page. The best part is that we kept winning. We were almost tempted to play for real and had to tell ourselves this is a review. This game was such a winner that we increased our bet to the max and won big with fifteen hundred dollars. T-Rex was a lot of fun with the roaring dinosaur. It had a random jackpot with a little over thousands dollars. We won the three egg scatter bonus and six free spins which landed us a couple hundred dollars. After another twenty minutes of play and not much winning we move to Pay Dirt to see if it lived up to its name. Once inside the game, guess who we found? You guessed it the lumberjack cartoon character. This game is five reels and has twenty five lines. The graphics are nothing special, although the graphics have clean lines and vivid colors. There was a lot of dirt and no pay, so we switch to auto pay and was taken to the screen with the controls. We adjusted the number of spins to ten. When we returned to the game screen, there was an auto play spin counter listed above the random jackpot. We still had no luck, so we never struck pay dirt on this round. Table games were our next feature to review. We stayed in the instant play screen and clicked the table games tab. Once there, we picked twenty one blackjack and European blackjack, just to see what the difference was. The icons were not the same, so we were interested to see what else was not. We started with twenty one blackjack. The game loaded quickly and we were greeted with our friend the lumberjack from Pay Dirt. So we are starting to see a theme. The table for twenty one blackjack is pretty realistic. After scanning it, we found the table limit box with min and max at the top left with a neon digital readout. The chips were at the bottom. All you had to do was click the chips you wanted to bet. The rules were clearly displayed in the center of the table – blackjack pays three to two, dealer must hit soft seventeen and insurance pays two to one. We won on the first hand with a minimum bet. We were feeling lucky and up the ante to twice the minimum. The game got really hot and we placed a five hundred dollar bet and won. The twenty one blackjack game was a keeper. We moved on to see what kind of action could be found on the European blackjack. After the table loaded, it had the same icons and set-up. There was one small difference; there was a name change on the table to European instead of twenty one. The European blackjack had one card dealt for the dealer at the beginning of play while the player had two. We were able to run our winnings up to almost four thousand dollars from the one thousand balance we started with. Either blackjack game played would offer hours of solid play. After playing both games, without much of a difference we decided to try our hand at video poker. A simple click of the video poker tab from the instant play screen displayed fourteen games. The titles included, Aces and Eights, Bonus Poker and Deluxe Double Poker, Deuces Wild and 777’s Wild to name a few. We decided to click the Dreams Casino tab and go to the home screen to see the functionality of getting to the video poker from there. There were eight games listed and a few games were actually different from the ones on the instant play screen. For example, there was a Mystery Bonus Poker and Bonus Deuces Wild. So we decided to check out the Mystery Bonus Poker one, because who does not like a good mystery. The Mystery Bonus Poker required you to register before you could access it. This must mean the video poker games listed on the home screen are intended for live play. We decided to go back to the instant play screen. Once we clicked the instant play button on the top of the home page, we found ourselves back where we started. We tried out the 777’s Wild and Loose Deuces. 777’s Wild was first up and the layout of the play screen has clean lines with all the information needed. The game is responsive with each click of a button. There are opportunities to double the bet throughout play. Loose Deuces was just as responsive with the same options of play and winning. From the instant play page is a list of four specialty games which include American Roulette, Craps, European Roulette and Keno. Before we tried any games we clicked the Dreams Casino tab at the top to see what we would find once we selected the specialty games tab from the home screen. Unfortunately, there is no tab or link for specialty games located on the home page. However, the popular games tab is highlighted by default and displays two of the four specialty games, American Roulette and Keno. Clicking either one of these options takes you to the registration page for you to sign-up. We quickly clicked the instant play link at the top of the home page and were taken to back to that page. Since there were only four specialty games, we decided to take a look at all of the games. American Roulette had all of the expected components, the wheel made the noise of the ball as it was spinning. The table was set-up in a clear and unambiguous way. It is easy to see how hours can be spent at the table in this game. There was no real distinction between the European Roulette and American Roulette. The games are set-up similarly in regards to features and betting. Craps was our next stop and its presentation was also well done with appropriate colors and graphics. As the mouse is moved over each section of the table the odds are presented. The table and play screen have all the information listed with no distractions. The sound of the dice hitting the table is realistic as is the sound made by the chips. Craps is not an easy game and this one proves that reputation to be true. As soon as the Keno game is loaded a pop-up reviews how winnings are calculated and displayed. There is an option to disable the message from displaying while you play the game. The Keno screen is simple and displays a maximum payout of two hundred and fifty thousand dollars at the top under the name of the game. It is set up like a slot machine without the handle. The bottoms are responsive and play is agile. Bells are sounded and a flashing golden highlight is around each of the numbers you choose. Red x marks are placed over the winning numbers picked by the game. There are play choices of one, five and ten or a quick pick button. This is a simple example of a Keno game and could easily engage and entertain anyone. For all the games in our review except the specialty category, we were able to access them from the different features, such as the link from the top the page, or from the right side on the home page. Both options quickly took us to our desired destination. Each instant play game starts you with a one thousand dollar balance. There is the option at any time to play the real game with the simple click of a button conveniently located at the top of the game. The first bonus for Dreams Casino is for two thousand dollars which is a two hundred percent match up to that free amount. An example is shown that states deposit fifty dollars and play with one hundred and fifty dollars. There is a large icon with ‘start winning now’ scrolled on it and once it is clicked you find yourself on the sign-up page. You are encouraged to register for free and redeem coupon code DREAMS2000. However, there is a promotion tab located at the top of every page that will also take you to a page with all the bonuses. There are three categories with individual tabs. They include sign up promotions, redeposit bonus and VIP promotions. The sign up promotions tab is highlighted and below it is the information from the home screen slider. In addition, there is a free twenty five spins bonus for the Builder Beaver game, which is a twenty five dollars value. The terms and conditions for both the free two thousand dollars and free twenty five spins bonus is located in small print below the bonus icons. The Redeposit Bonus has a redeem coupon code of DREAMS200 and entitles you to an additional two hundred percent deposit over and above the initial one when you first register. This coupon code also works for every deposit the player makes at Dreams Casino. The terms and conditions particulars are also listed below the bonus icon. The VIP Promotions are over and above the VIP Program which has levels that classify players. The VIP promotions consist of two separate options. The first is a two hundred and fifty percent redeposit bonus plus a thirty percent deposit insurance. Simply enter the redeem coupon code VIPDREAMS to take advantage of this promotion. The deposit insurance gives you a second try if you lose on the first. The next VIP Promotion is the one hundred dollars weekly VIP chip. It does not require any deposit be made. This promotion is available every week as long as you have made a deposit in the seven day timeframe you are redeeming the coupon. To claim this promotion you must enter the redeem coupon code VIPWEEKLY. We are going to look at the specifics for the VIP Program next. The VIP Program of Casino.com is generous with five levels that cater to every customer’s playing status and history. They proudly designate a VIP button at the top of every web page. Once you click the link it is easy to see why. The program has the slogan, ‘Welcome to Dreams Casino – Where Dreams Come True!’ In addition, there is verbiage stating that the VIP program is in addition to their comp and appreciation rewards. They even have a dedicated toll free number that connects you with a VIP host. We are going to break down each level in great detail so the full effect of the benefits can be appreciated. Just to set the stage, each level has entry requirements and individual benefits. Level one has an entry requirement of an initial five hundred dollars deposit or twenty five thousand dollars in lifetime deposits. The benefits for this level are a one dollars welcome bonus with a free chip. One comp point is earned with every twelve hundred and fifty dollars in wagers. Additional tailored VIP only offers and bonuses round out the perks. Level two has an entry requirement of an initial one thousand dollars deposit or thirty five thousand dollars in lifetime deposits. The benefits for this level are a one and fifty dollars welcome bonus with a free chip. One comp point is earned with every thousand dollars in wagers. Additional tailored VIP only offers and bonuses round out the perks. Level three has an entry requirement of an initial three thousand dollars or fifty thousand dollars in lifetime deposits. The benefits for this level are a two hundred and fifty dollars welcome bonus with a free chip. One comp point is earned with every seven hundred and fifty dollars in wagers. Additional tailored VIP only offers and bonuses round out the perks. Level Four has an entry requirement of an initial five thousand dollars deposit or one hundred thousand dollars in lifetime deposits. The benefits for this level are a five dollars welcome bonus with a free chip. One comp point is earned with every five hundred dollars in wagers. Additional tailored VIP only offers and bonuses round out the perks. And the last level five entry requirement is by invitation only. The benefits for this level are a one thousand dollars welcome bonus with a free chip. One comp point is earned with every three hundred dollars in wagers. Additional tailored VIP only offers and bonuses round out the perks. After you scrutinize the VIP program, it is clear that the relationship theme of Dreams Casinois alive and well. And now we are going to look closely at the banking features available. The banking information is clearly laid out in great detail for everyone to peruse. It continues in the user friendly customer centered strategy that is found throughout the Dreams Casino website. The first link is the deposit methods followed by a withdrawal methods link. The deposit link has the icons for Visa or MasterCard. The information states that you can instantly fund your casino account with either card. There is an important note which advises new customers that they must complete a credit card agreement form before a first transaction can be made. It also states that the form will be kept on file in their accounting department. Another note is listed, reviewing the cancellation policy. It states how issues such as duplicate charges, mistaken charges and unauthorized charges will be handled. It goes further by stating that all valid situations will be refunded. To delete a transaction or request a refund is an email or call away. NETELLER is the option available to non-US and Canadian customers. This option is provided by a third party. Dreams Casino directs the customer to the NETELLER website to create an account. All inquiries regarding the use of NETELLER are to be addressed with them. In addition, to deposits and withdrawals there is a section that discusses reversing withdrawals. 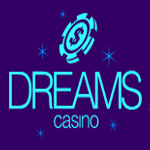 Specifically, it states to contact Dreams Casino directly for approved withdrawals to be deposited back into your account. For a NETELLER withdrawal, the customer must reach out to them. It states there is no fee for the NETELLER withdrawal service. BankWire and BankChecks are the last options discussed for this category. They are delineated by the number of days it takes to process, the amount of the transaction and the mode of withdrawal the customer can expect. Dreams Casino has been meticulous in customizing the customer experience at their casino. They are options available for customers to reach out in a variety of modes, which are easily accessible from anywhere throughout the website. For example there are large tabs at the bottom of every page with a dedicated toll free number displayed, providing twenty four hour service year round. Next to this link is one with a live chat feature. In addition, there is a contact us link at the bottom of every page that take you to information with dedicated toll free numbers for the U.S. and Canada, the United Kingdom and all other international customers. There is also a deposit center toll free number. If you prefer to email there are three dedicated options, one for customer service, withdrawal department and VIP department. Finally, if you prefer to fax, there are toll free numbers for the U.S., Canada and the United Kingdom. They also empower customers to seek self-resolution with an in-depth FAQ. Access can be found from the contact us page or a link located at the bottom of every page. The vast array of information is categorized into four areas which include, general questions, technical info, security info and game play issues. A quick review, confirms that an attempt to address every possible concern was listed, however, the contact us option will certainly tie up any loose ends. We are impressed with the Dreams Casino website. It is user friendly and provides a plethora of play opportunity with a broad range of games. The agility of the games is impressive which speaks to the entire brand of Dreams Casino. They have included multiple platforms for the customer to access their site and play at their leisure. Their holistic focus on the customer is clearly evident throughout the play experience. This is seen with the level of details placed on the presentation of the site and the full service amenities available. The VIP program is enviable and has the framework to expand into more perks for players. Dreams Casino has positioned itself within the online casino industry to capture even more player relationships. If they were to add other play options such as sports, they would see even more traffic. Overall, we recommend Dreams Casino as a safe, fair and thrilling play experience for the gaming enthusiast.